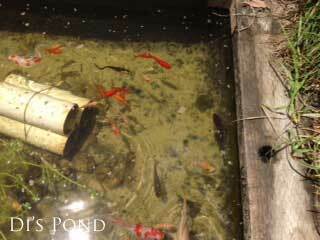 I have a stock tank pond that we recycled as well as old hydrant that is the water feature/ circulation. Since we have had issues using recycled equipment, I like to use method that reduce the stress on my fish as they have gotten to very large size… and reproducing as well. Thank you for posting exactly the equipment needed (all of which I had around my house). Fish are much happier when they can see me to feed them. Thanks so much! I would love to send you pic! Thank you, Sylvia. Glad to hear it worked. And good for others to know it can take a while for some ponds. Hi John, It doesn’t matter what type of pump it is so long as the pump works and is the right strength for your size of pond. 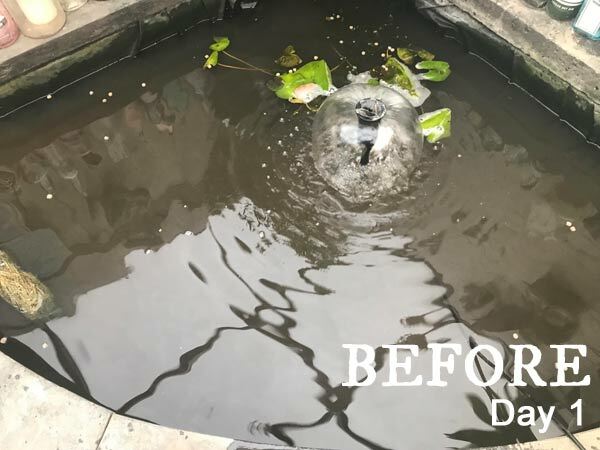 There’s no magic to this method: you just need to move all of the pond water through the batting, which filter the algae out. Hi Susan, Is there any gunk in the batting yet? 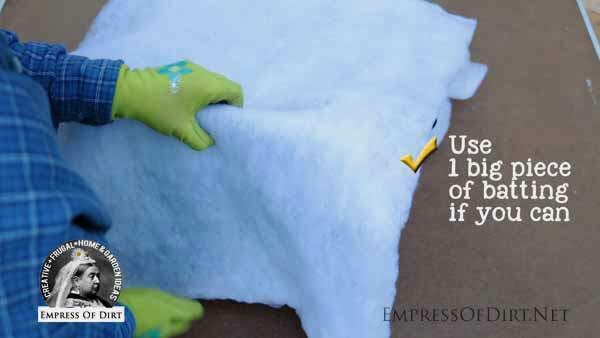 If not, try doubling the thickness (use two layers of thin batting) to catch more of it going through. I have an 800 gallon pond and we have a huge filter that is outside the pond. I want to purchase a submersible pump just for this application. Can you tell me what pump you use? Thank you. I can’t wait to try this! Hi Kathy, I added some pump information to the article. I don’t have any specific brand to recommend. I find the style shown seems to work fine and last for years. We have a 5,000 gallon pond with a bio falls, bog, and negative edge to a mechanical filter. We tried your method using a plastic laundry basket and a bubbler. This cleared our pond water up perfectly! The batting was changed 3 times over the course of 3 weeks. 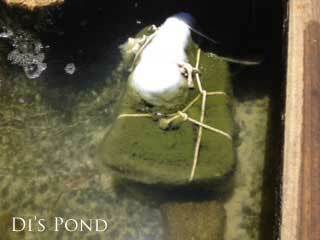 Each time we changed the batting, we scrubbed the large rocks to stir up the muk. We were one of 40 host homes for a pond tour this weekend and received many comments on the clarity of our water! We’ve been directing other pond owners to your article. My pond is amazing. I have had it for years, usually messed with cleaning my filter as often as every few days and still have never had water this clear. 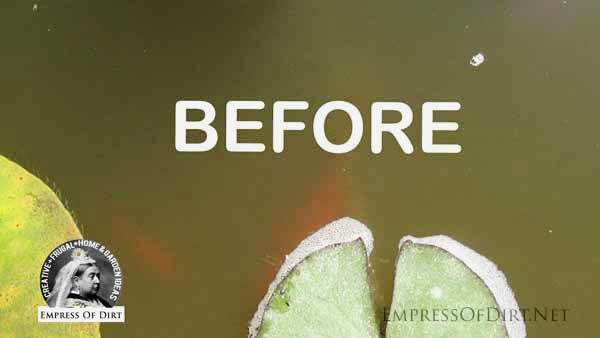 I have used chemicals to kill the algae in the past, no need for that anymore. I put your batting cage together in spring, using a basket for water plants. I have not done anything with it since, and it is August! Thanks for the great tip. 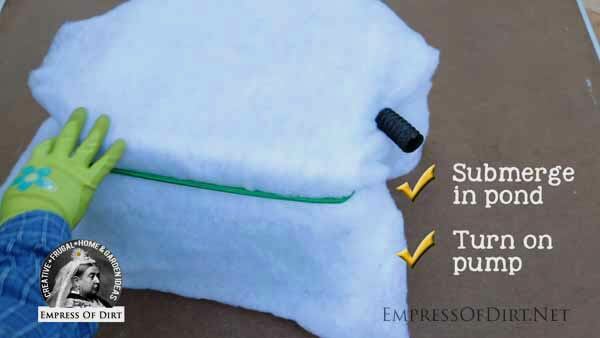 Can I put the batting in my filter instead, in place of the pads that are there? Hi Eileen, I have not tried that so I can not offer any experience. The idea is to find a way to pass all water through the batting so it grabs any gunky particles in the water. If you try it, let me know. You are an Empress & Goddess!!! After9 years of emptying, scrubbing and vacuuming, I did your method yesterday and already am seeing results!! Fabulous! I hope clear water is coming your way very soon! Tell me how a pump can take water in without releasing any? We wrapped a milk crate containing our pump (5000 gal/hour) and the water was clear in less than 24 hours. 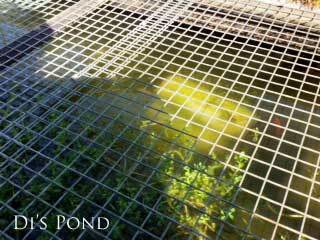 We have a 1500 gal above ground pond with a UV and bio filter. We used a whole bag of batting which may have been overkill! I am curious about how often to change the batting. I guess I will leave it alone until the output seems to decrease? You sure are a wealth of knowledge!! I’m super happy to have stumbled upon your site. I’m super new to garden ponds, in fact so new that I don’t actually have one yet. 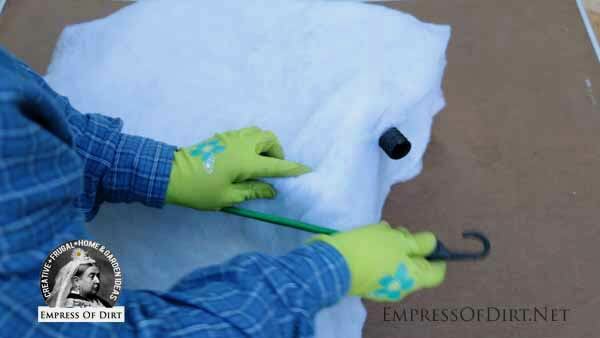 I’m wondering, with this quilt batting method do you still need a pond skimmer? 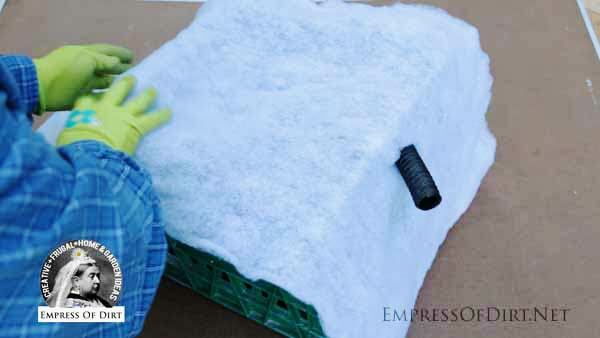 Could you eliminate the need for a pond skimmer and just use this? Hi Katy, Can you show me exactly what you mean by a pond skimmer? 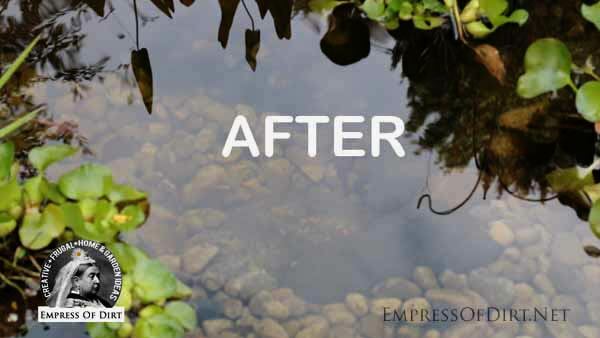 This method applies to little ponds (around 500 gallons) and often they do not have what I would refer to as a skimmer. Let me know and we’ll go from there. Yes, that is a skimmer for large pond (2000 – 4200 U.S. GPH pumps). Skimmers like that are not used for the smaller ponds this water-clearing method applies to. This is an absolute miracle! Took 3 days but my soupy pond is now sparkling clean! Thanks a million! We wrapped our pump…in a metal basket, and then I. 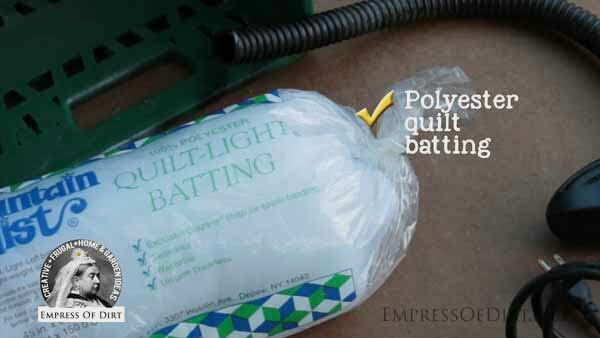 100A%polyester quilt batting. It has been 48 hours and nothing has happened! 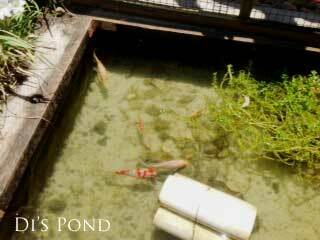 I had almost given up on my pond when I came across your article online. I was happy to try something for once that didnt require me to purchase anything as frankly Ibwas tired of that too. I was out of my mind happy as I watched my green water transform before my eyes to beautiful crystal clear water. Great to hear! Thanks for letting me know, Kimka. 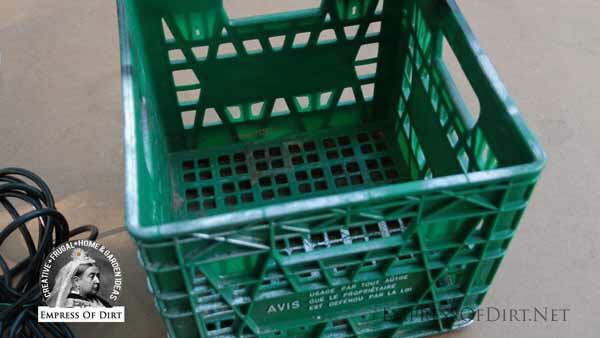 I want to try this but I’m in the UK and I just can’t find a sturdy milk crate, only flimsy collapsible ones, I’ve looked on Amazon but most don’t ship to the UK? any ideas? Would the flimsy ones work? Hi Michaela, You can use anything like a wire basket or other container that will hold the batting away from the pump but allow the water to flow through. 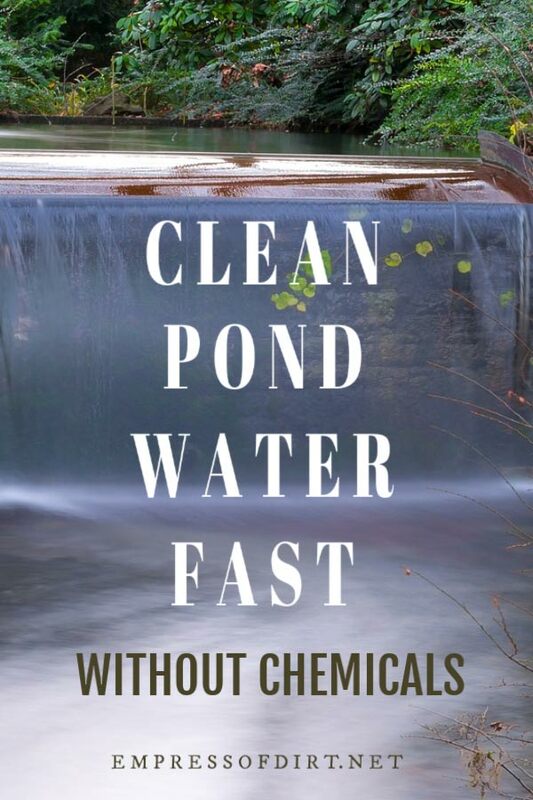 Melissa, we have just moved into a home with a garden pond and I’m anxious to try your batting method for filtering water vs. chemicals. 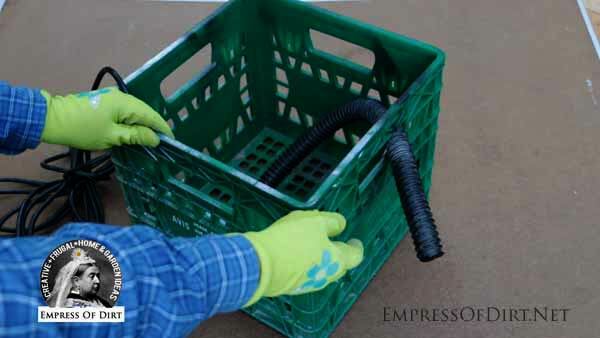 I have my pump, wire waste basket and bungee cords! Can you tell me why you use the polyester batting rather than the cotton? Just curious… Thanks! Cotton batting is a natural material and will gradually disintegrate in the water, causing further problems with water clarity. Polyester batting is synthetic and does not break down. Instead, it just filters the water by grabbing debris as it passes through. Let me know how it goes! Melissa, This method is right on. 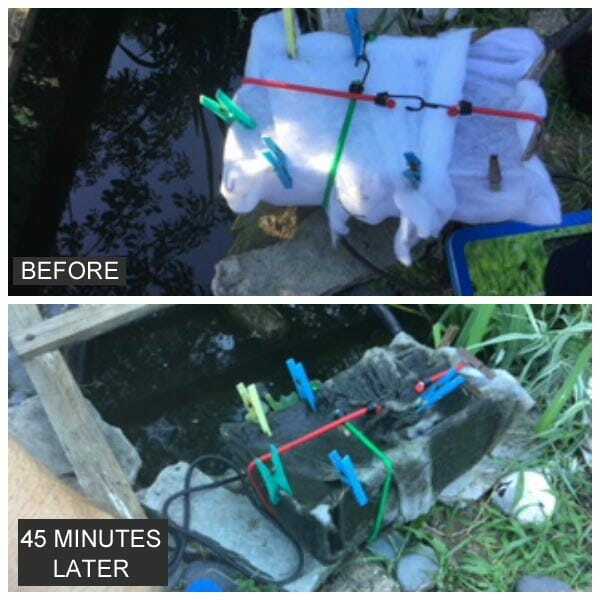 I use this same system with quilt batting that I bungee to a metal trashcan (that I mashed down so it would fit the pond’s profile) with the pump inside it. The batting only shows for a short time as it turns dark with pond trash quickly. The batting lasts much longer than regular filter material. Beats my old system to pieces. Thanks for sharing great information! I used the “batting” method this entire season [7 months] in my 1100 gallon pond and had great results where nothing else had ever worked. I did have to change the batting a couple times a week……but that was no problem considering the good results. Best idea ever!! Just started this today after reading about it yesterday on your site. I have batting in the skimmer and under the waterfall and under various pumps. I do not have it surrounding the pumps, just at the discharge hose. My pond is roughly 2000 gallons. 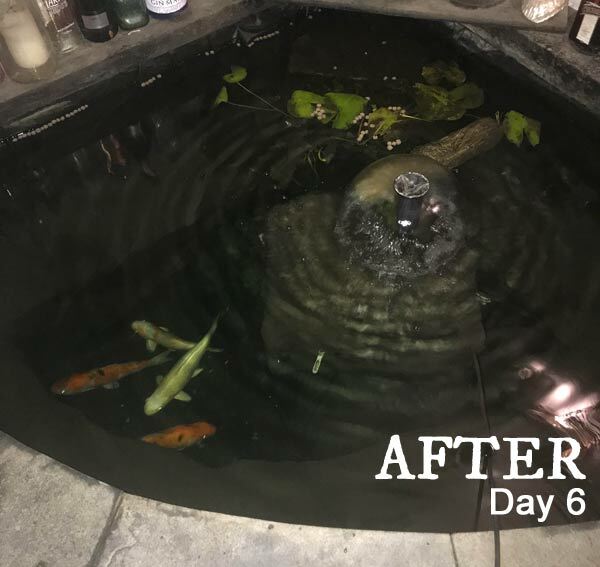 I put in a uv clarifier and after a month has done nothing, thus the batting was added to catch all those floating green algae that are to small to pick up by any other method. I am hoping that it will be clear in a week or so. So tired of not seeing my beautiful fish. Thank you so much! 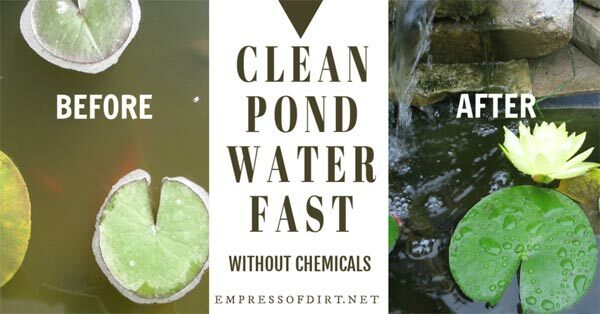 I tried this in my pond, which is about 2500 gal, and it worked like a charm. It took about a day to really clear the water completely, but it was a mess before. Wonderful! I’ve never had a pond that size to try it on so it’s great to hear it worked. Thank you, Juliea!